The universal binary sensor Fibaro has been in the market with Z-Wave devices for a longer period of time, but it is still a unique one. This Z-Wave module offers two generic digital inputs and another one-conductor input for up to four temperature sensors. This module can be controlled by almost any available Z-Wave controller. In the packaging with the dimensions of 65mm x 65 mm x 45 mm you can find the device itself and the manual. The universal sensor is very small with the dimensions of 30mm x 14mm x 12mm. There are 7 cables at the one end with the length of 140 mm and one black antenna with the length of 80 mm. The other end has two terminals for the output. Of course, the device has a button to added the device into a Z-Wave network. The device requires direct-voltage supply (DC) in the 9-30 V interval. This means that the universal sensor can be supplied from a battery or by using a transformer, and it can be used in various applications. 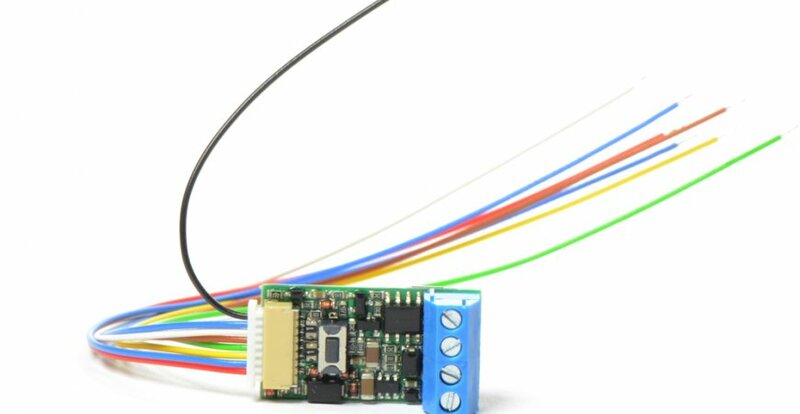 Since the module supports the connection of up to four DS18B20 temperature sensors, these sensors must be connected before adding the universal sensor. The 1-conductor interface supports only the DS18B20 temperature sensors. You can see the scheme below. 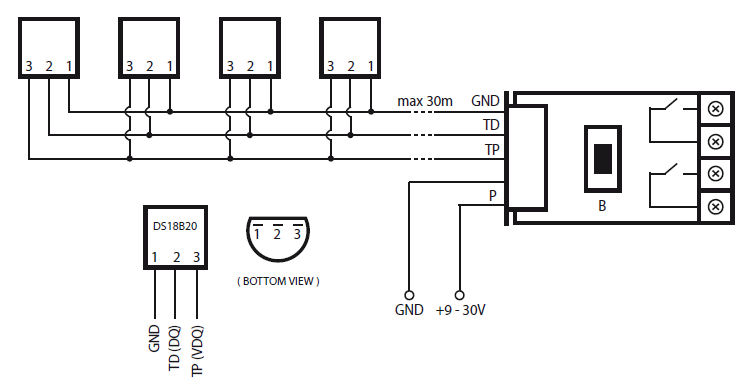 After connecting into the Z-Wave network using a Z-Wave controller this may look for example like this. Another and probably the main use of the universal sensor is the integration of the existing cable sensors, e.g. the motion ones (PIR), into the Z-Wave system. The universal sensor is sufficiently small to be used with the standard PIR sensor and to enable its communication in the Z-Wave network. This module can do it from any Z-Wave sensor. 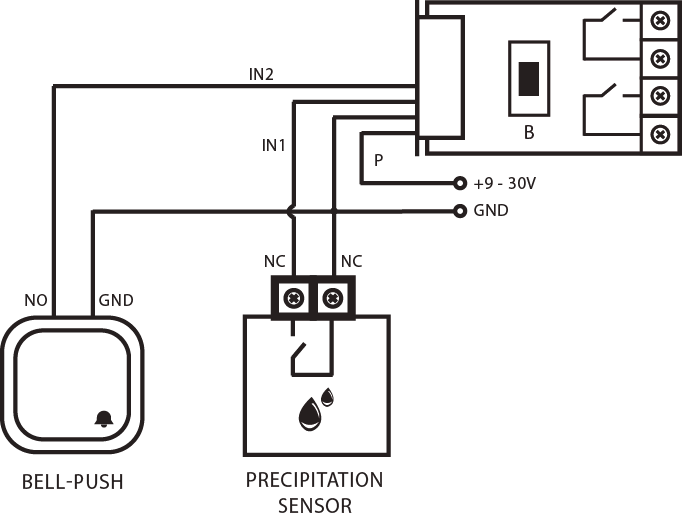 Of course, this universal sensor can be used to create a Z-Wave door-bell as showed below in the scheme. So each time someone rings the bell you can get a Push notification to your smartphone or a picture from the IP camera. 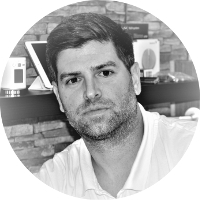 The universal sensor has a lot of advanced settings that are available in the interface of your Z-Wave controller. Parameters 1 to 4 are for the binary inputs (NC/NO). Parameters 5 to 9 are for the Z-Wave associations. Parameter 10 is the interval between the readings of the sensors - at the beginning it is set to the interval of 20 seconds. Parameter 11 is the interval between the sending of these temperature measurements into the Z-Wave controller. The basic value is 200 seconds. Parameter 12 sets the sensitivity of the temperature reports of the module. The basic value is 8, which is 0.5°C. To sum up, we can say that this small device is astonishing. Thanks to its small dimensions it can be used in a large number of applications. Moreover, it can be supplied from a battery using a 12V DC transformer. What yould you use this device for?